It’s been a minute since I’ve last posted on here so please excuse my absence! These days most of my efforts have been focused on Instagram, but I haven’t forgotten all you blog readers! In an effort to showcase more than can be captured in one square a day, I’m going to start posting on here more often. So if you’ve found yourself here again after a long break, then please continue to come back for more new content! Let’s start things off with my recent trip to London from last month. I don’t know about you, but when I travel I like to put my best LEWKS forward. 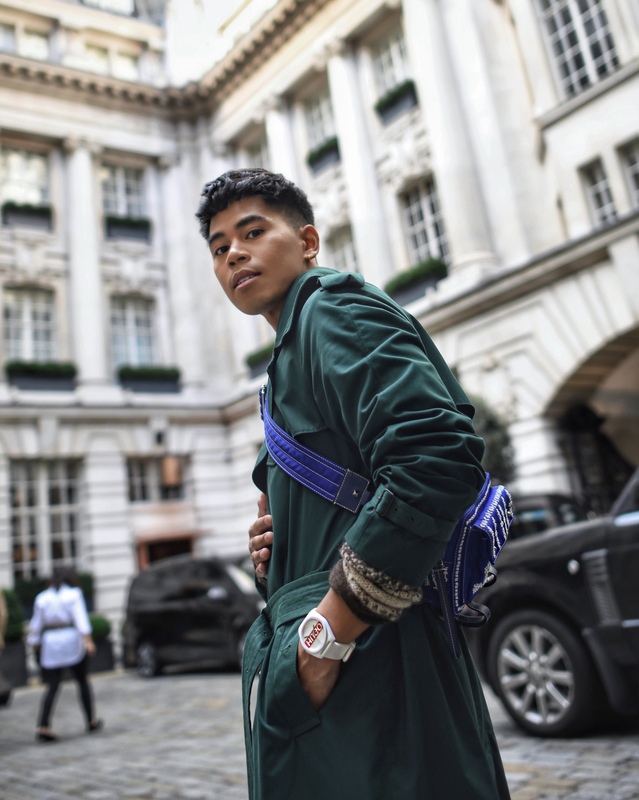 My London outfits were some of my favorites as of late and they just so happen to touch on some of the best key trends this fall. Since a lot of you often ask me via DM on Instagram where I get my clothing, let’s kill two birds with one stone in this post! Outfits and trend explanations all covered down below. Scroll on to see the rest! If you were to tell me 5 years ago that I’d be dressing like a fisherman, then I probably would’ve laughed right in your face. 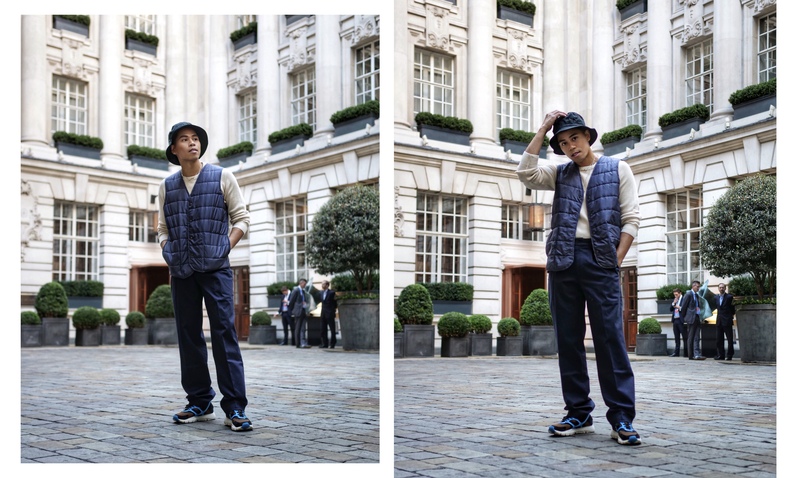 As it turns out, menswear has taken an interest in traditional workwear and now garments normally reserved for blue collar laborers are being reworked with fashion in mind. Bucket hats, hunting vests, reflective panels, carpenter pants… Home Depot just became high fashion! When I first started blogging my daily outfits in 2011, you’d be hard pressed to find me in anything but preppy plaid, colored chinos, and brown wingtips (with their normal laces swapped out for colored ones, of course!). 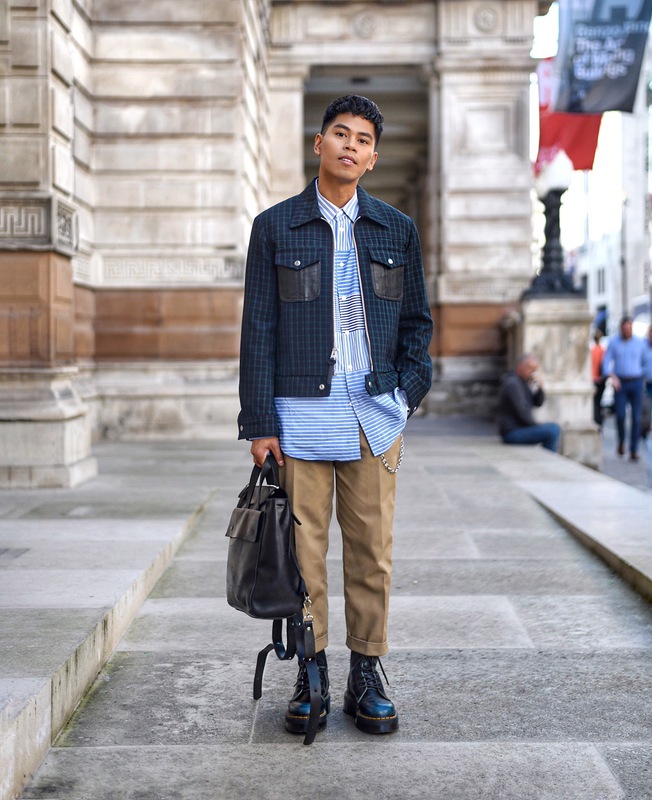 Nowadays my style takes more of a streetwear lean but luckily I haven’t gotten rid of all my OCBD’s (oxford cloth button down) and leather brogues just yet! Take a look through Instagram or any men’s magazine, and you’ll see prepster influences everywhere. Grandpa cardigans, tassel loafers, corduroy slacks, and even blazers are cool again. 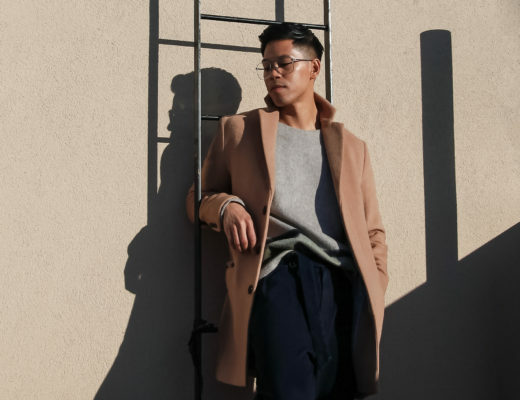 And although the modern version of “preppy” is also styled with a bit of skate and streetwear inspo these days, you can’t deny that the hashtag menswear, “trad” days might just be making a resurgence! Any modern guy with an ounce of style or the slightest clue on fashion knows that a suit is not just for formal occasions. They even know you can wear it with a tee, or maybe even a hoodie if they’re a bit more advanced. But that’s not the point I’m trying to make here. What’s changed this year is that suits have become more acceptable as daily, casual wear. In the past, even though I’d dress my suit down with a tee and sneakers, I’d still reserve it for “nicer” occasions like celebratory dinners and holiday events. Nowadays though, I’d just as easily wear a “dressed down” suit to a dive bar happy hour and not feel awkward or out of place. Blazers are acceptable alternatives to denim jackets, and suit slacks are interchangeable with your favorite jeans or chinos. 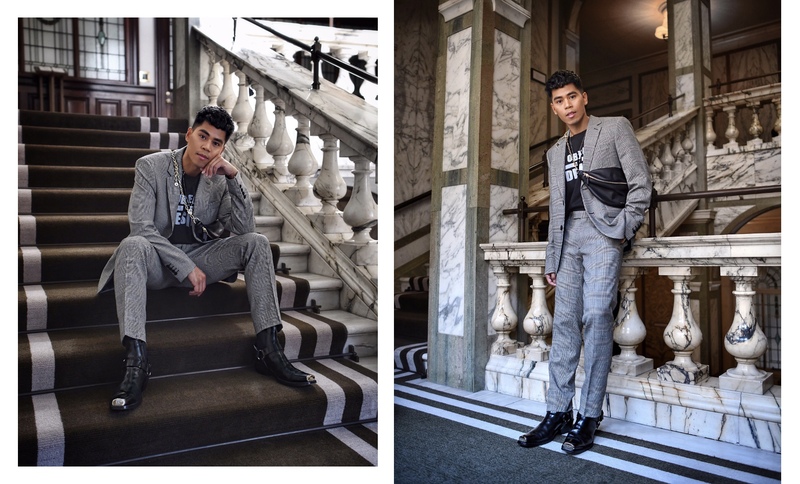 Whether guys are wearing them with chelsea boots or sneakers, turtlenecks or tees, the point is, we’re wearing suits and we’re not afraid to do so regardless of the occasion! This has to be my favorite type of jacket at the moment! At the beginning of last year I remember being obsessed with bomber jackets. They were sporty yet chic and definitely trending on the internet. But towards the end of last winter I began falling in love with trench coats again. A belted wool version works well in the winter months and the lighter cotton versions will get you through spring rain and transitional fall temperatures until you need to start layering them with hoodies for extra warmth. If you haven’t got a traditional tan, navy, or even black trench in your arsenal then I highly recommend it! I happen to have one in all three of those colors (oops!) which is why I opted to up the ante with this deep green color for my seasonal jacket splurge! Have you tried any of these trends yourself? If not, would you? Leave a comment and let’s chat! And as promised, I’ll see you again soon with a new post!